Nosloc on demand Poultry and Game Bird feeder systems, research and development. Nosloc feeders are designed and manufactured by Dennis Colson, an inventor from the King Country region, located in the Mighty Waikato, New Zealand. 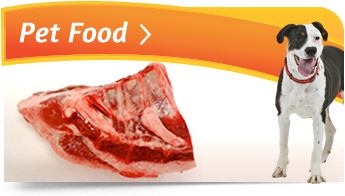 Nosloc® feeders were developed out of frustration with existing products available not meeting our requirements, having used or experienced first hand the limitations of all these products on the market. Our requirements were: must be waterproof, vermin proof, not feed undesirables – sparrows, blackbirds etc, be able to operate over water or land. 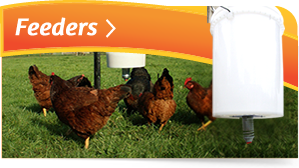 After 5 years of field trials Nosloc® feeders have evolved into an efficient, affordable feeding system that has found favour with hunters, conservationists, free range poultry farms, wild life parks, zoo’s and many backyard aviculturists. Many hours of research and development at the Otorohanga Kiwi House, Auckland Zoo, wild ponds and domestic poultry farms have resulted in a simple but effective on demand feeder. The known species that have fed successfully to date are chickens, wild ducks – including mallards, greys, brown and grey teal, domestic ducks, turkeys, Canadian geese, black swan, mute swan, pheasants, pukeko, peacocks, guinea fowl, grouse, partridge, pigeons, weka, crane, and doves. 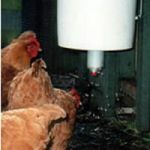 Nosloc® feeders have evolved into an efficient, affordable feeding system that has found favour with hunters, conservationists, free range poultry farms, wild life parks, zoo’s and many backyard aviculturists.